Jonishi Kei announced her graduation during the NMB48 6th Anniversary Concert (Team Shuffle) on October 18th, 2016. Here is an English translation of her graduation announcement and commentary. 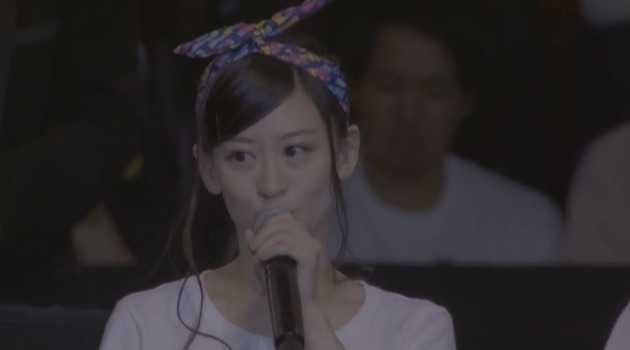 Jonishi Kei: As Kaneko-san said: I, Jonishi Kei, will graduate from NMB48. As part of the first generation, I’ve been part of NMB48 for six years. I’ve really had a lot of experiences. I’ve been part of the senbatsu line up, appear in TV drama shows and movies; thanks to everyone, I’ve even been able to rank in the elections, and I’ve also had a photo book released. I am really satisfied with this position and the way things are. But if you become satisfied, I think it’s hard for fans to support you. I think that this is as far as I’m going to get. Therefore, I’ve decided to graduate from NMB48 and continue onward. I really love NMB48. There were so many times when I thought that I wouldn’t graduate. But this 6th year is really a turning, and if I was going to graduate, now would be the time, so I went through with it today. I won’t say what my next goal is, but there are many things I want to do. I’ll do them in order, and hopefully, I’ll found out what it is that I really want to do. After I’ve quit NMB48, I am not sure if I’ll be able to meet everything like always. But, you never know what might happen. Because of that, I’m really excited. Someday, someday, even after I’ve quit, you might find me again and say, “Welcome”. I’d be very happy if you did so. My graduation date hasn’t been decided, but I’ll do my best in NMB48 until that day. I hope you’ll continue to support me. 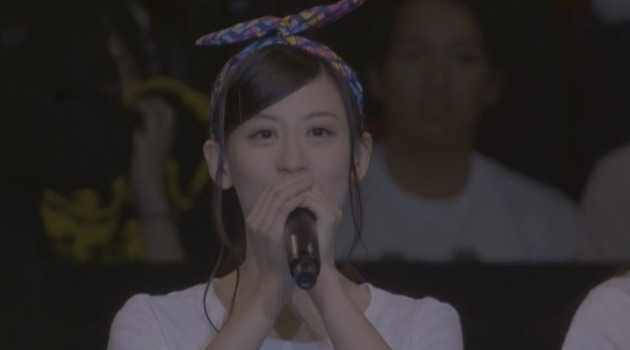 Manager Kaneko: With regards to Jonishi’s graduate date, it hasn’t been decided, so we’ll let you know when that happens. We intend to continue supporting her as she pursues her dreams. I hope that you’ll also continue to offer her your support. Continuing from next year, with regards to her activities, she will continue on as part of Yamamoto’s Team N. Thank you. 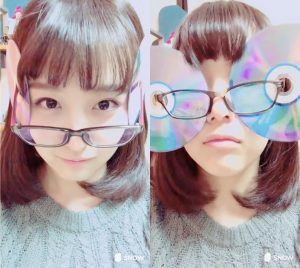 Yamamoto Sayaka: I don’t know where to start. The team shuffle was just announced, along with Jonishi’s graduation announcement. I think people are still reeling from what just happened. But, well, let’s see. With regards to the shuffle, it doesn’t stuff just with the announcements. I also don’t think it’s the time to put on such a long face. In retrospect, you can think of this positively as a starting point. All in all, this sixth year is a new starting point, and it’s an opportunity to start from scratch. Going forward as a team, I wonder what kind of team this will become, and what team I will make it turn into. Of all the teams we’ve had up until now, I want to make a new team of a different “color” with these members. And with Jonishi taking a new step forward, I think she’ll be a little uneasy and have a lot going on. 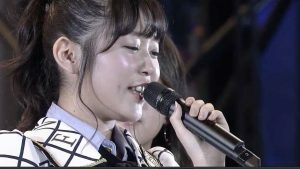 With everyone’s support and encouragement of her… well, how do I put this… it’s because of this confidence and trust, and believing in everyone here that I think she was able to take this step. For all the other members, we don’t know what’s going to happen, and I’m sure you’re uneasy about your activities in NMB48. But we’ll get through all of this together. Altogether, we’ve gotten through these six years with everyone’s help. Looking toward a dream as just one person might be lonely and difficult, but as for the dream that we’re chasing: it’s not one person’s dream, it’s the dream that everyone here, and all our supports, are pursuing. So please, we’d be most happy if you continued to chase that dream together alongside us. Thank you very much! I don’t have any regrets being part of NMB48. I am so thankful to have been part of this group and to have met the staff and other members. By the time the 7th year comes around, I will probably not be here. I really want this group to always aim for the very top. Even after I graduate, I will always, always, love NMB48. Everyone, thank you very much for today! 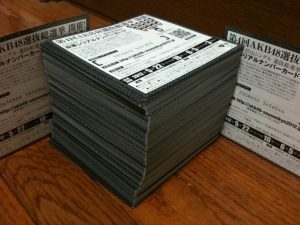 Previous PostThe 16th generation Yukirin look-alikeNext PostAKBingo more popular than AKB itself?